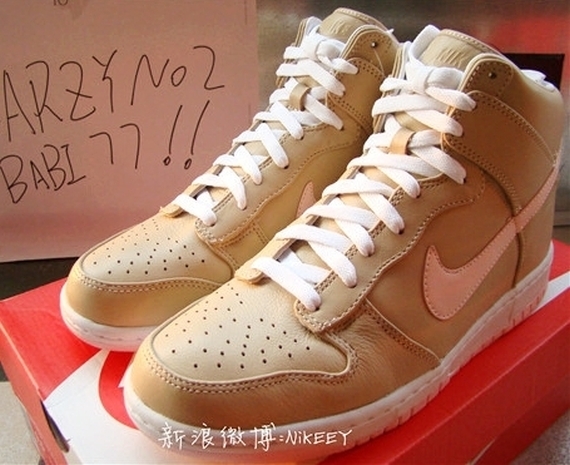 Following last month's 3M Snake Dunk High, Nike Sportswear releases a new Dunk High inspired by another Co.Jp classic Air Force 1. 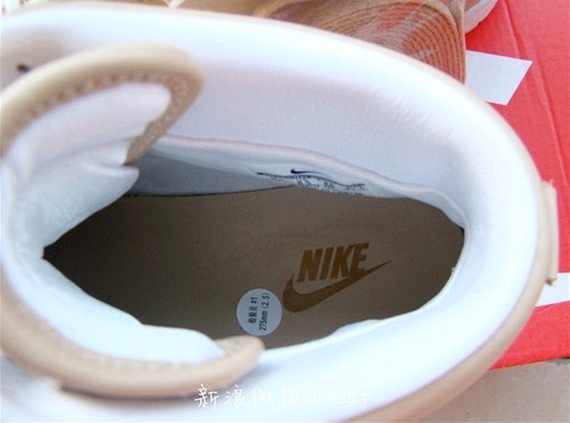 Nike Sportswear turned to one of the most beloved Air Force 1 Lows of the past decade, hitting this Dunk High with a "Linen" inspired look. 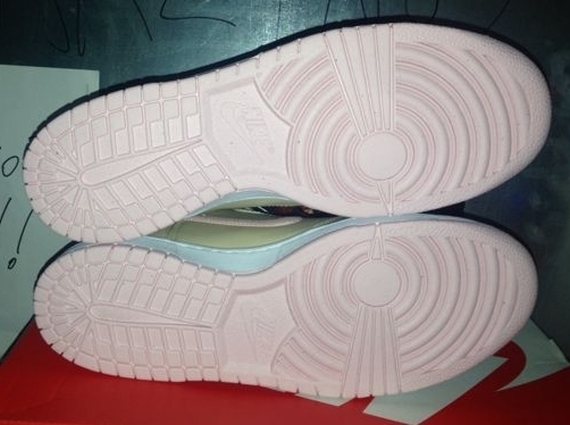 We see the same natural-toned tumbled leather gracing the upper, while a soft pink "Atmosphere" hue hits the Swoosh logos and combines with white over the classic Dunk sole sitting below. 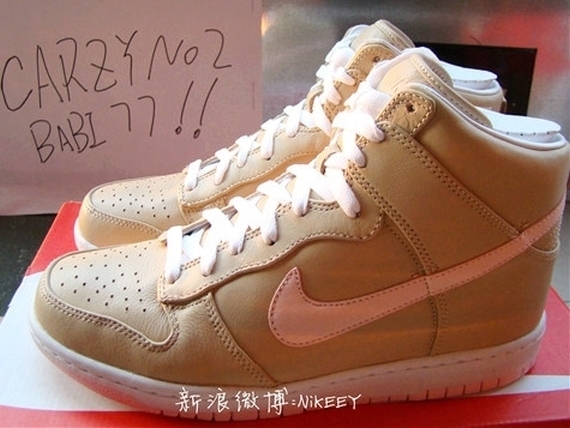 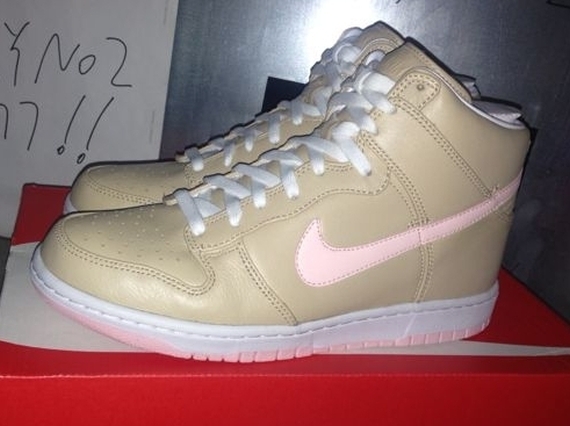 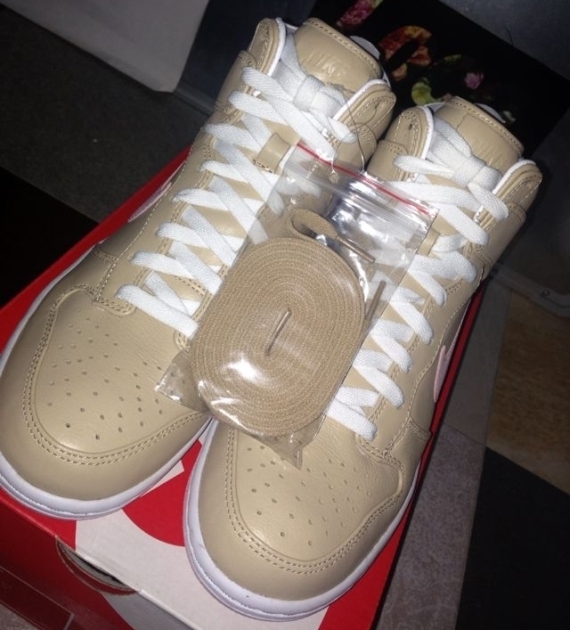 Stay tuned to Sole Collector for further details on the "Linen" Nike Dunk High.